After 32 years as a restaurateur, Karen Binder has finally found her “out.” Madison Park’s unofficial Jewish mother has spent years in search of the right person to buy the business she’s birthed, nourished and held onto through thick and thin — and she’s finally done it. After brunch on Sunday, August 28th, Binder will bid adieu to Madison Park Cafe, turning over the keys to Celinda Norton. Norton, a talented chef, sold her 6-year-old Pike Place Market bistro 94 Stewart in July in preparation for the move. If all goes as planned, Norton expects to reopen in October as Cafe Parco. Her “New World Italian” menu should appeal to a neighborhood short on Italian restaurants. 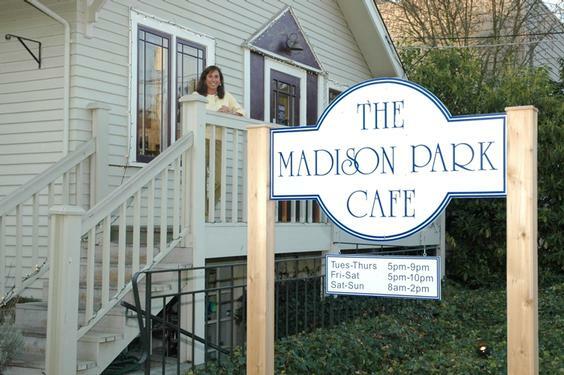 Karen Binder opened the Madison Park Cafe in 1979. As co-owner of the property on which it stands, she’s not likely to be a stranger when her bistro reopens this fall as Cafe Parco. The first plan of business following the closure, says Binder, is an extended trip to Hawaii for the birth of her first grandchild. Upon return, she expects to continue catering the occasional wedding or other mitzvahs, renting a commercial kitchen if need be. “If I do one a month, that’ll be good enough for me.” Fewer working hours will leave her plenty of time to enjoy other pursuits, she says. Binder, in the catering kitchen at SODO’s Herban Feast with her longtime beau, winemaker Brian Carter. Nope, they weren’t catering, they were schmoozing — while attending the 2011 Fred Hutch Premiere Chefs Dinner. Norton’s got big plans of her own, including a mechanical and cosmetic makeover of the decades-old restaurant. “I’ve got a plumber lined up to put in a new dishwashing facility, and I’ll be putting in new counters, cabinets, painting, landscaping, and adding more outdoor seating” in the tree-lined courtyard across from Lake Washington she says. Why Italian? I asked Norton, whose 94 Stewart had a decidedly Northwest bent. “Seattle loves Italian, it’s got such broad menu-capabilities — and I love it. For the philosophy for what I do it’s the best fit: you buy the best ingredients you can and don’t screw them up. I’ll change the menus constantly. Italian food gives good value as well, and that’s important in the current economics,” she says, for both the customer and the proprietor. 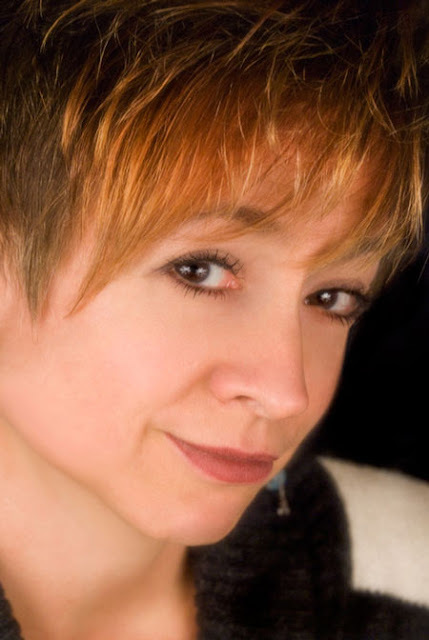 Chef Celinda Norton, seen in this glamor-shot, will soon be cooking Italian in glamorous Madison Park.